Petersburg, VA — (August 29, 2017)– It’ was a family affair for the City of Petersburg and surrounding areas thanks to the Greater Works Christian Fellowship! 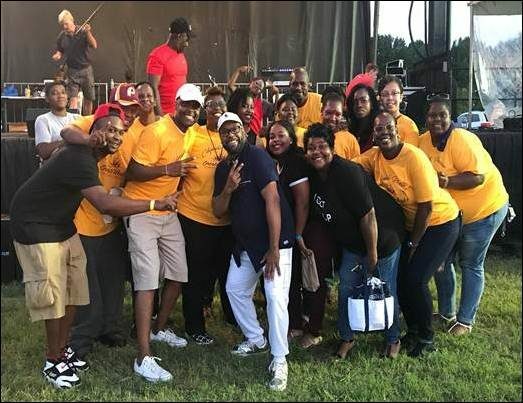 The Greater Works Christian Fellowship (GWCF) recently hosted Petersburg’s very first Citywide Praise Family Fun Day on Saturday, August 26, 2017! Residents came out with their lawn chairs, blankets, neighbors, kids and their church family to listen to local and national talent. The Citywide Praise party took place at Greater Works Christian Fellowship, 801 South Adams Street, Petersburg, Virginia 23805, formerly the old Southside Regional Medical Center and Petersburg General Hospital! The location directly behind the new church location was perfect with the stage sitting on a hit and a large open field directly in front. This year’s special guests included Tamika Patton, M.O.P Roc’co, Lauren Brooks, Pastor Shawn, Mercedes, Glory 2 God, Secret Weapon, the Virginia State University Gospel Choral and the award winning Kurt Carr. Vendors who supported this event included; Kona Ice of Central Virginia, Intercept Youth, Virginia Early Childhood Development, M&F Jamaican Cafe of Wheelz, Paparazzi Jewelry, Feels Like Heaven Body Butters & Soaps, Vernon Johns Middle School PTA, Shotz From the Heart, LLC., Taste the Flava!, Jencare Senior Medical Center, Marlow’s Virginia Lions OG RIbs & BBQ, Hopetree Family Services, Health Start Loving Steps, University of Virginia Breast Cancer Center Mobile Coach, Petersburg Health Alliance and the City of Petersburg Voter Registrar. Sheilah Belle “The Belle” of Praise 104.7FM and The Belle Report, along with Brother Harold co-emceed the event with DJ C who also kept the music flowing. Job well done, Greater Works Christian Fellowship!